The Jeromes will tell you that besides their passion for the animal world and the agricultural community, their world revolves around people - especially those who have greatly impacted their lives. Larry often says his life is about one word - family. This family includes his own, but also his family of friends; those who have greatly influenced his life and helped contribute to his success. 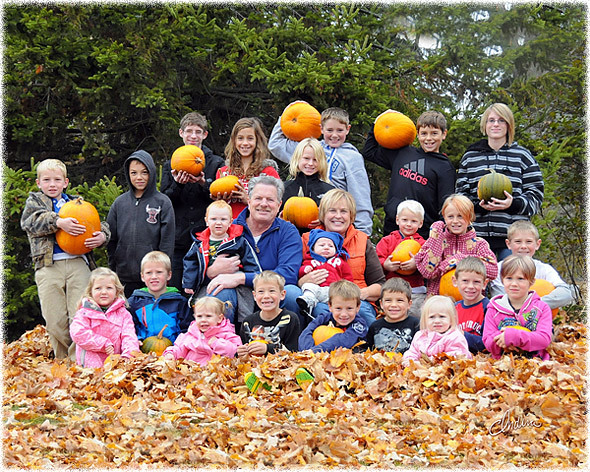 Larry and Shelley's seven children brought a reentrance into the 4-H program and a new variety of livestock. The kids' 4-H projects have included showing horses, developing a herd of beef cattle, showing steers throughout the United States, showing suffolk sheep, and even an entry into the pork industry showing hogs. Larry also has a passion for music. He has performed professionally for thirty years. His country rock band, Intrigue, has performed with artists such as Sawyer Brown, Kenny Chesney, John Michael Montgomery, Confederate Railroad, Lorrie Morgan, and many others.